Take your membership site to the next level with the ability to control access to different levels across your membership site. The ability to offer different membership access to different areas, such as a download area, increases value for your membership levels. Allows your members to pay with 1ShoppingCart, PayPal Standard, PayPal Website Payments Pro, PayPal Express Checkout, 2CheckOut, CCBill, Authorize.net, ClickBank, WorldPay, MoneyBookers, iDeal, Epoch, Payza, Ogone, SagePay, eWay, PagSeguro and Manual Pay. Do you want to accept payment only from one payment gateway? Simply deactivate the payment modules you don’t want to use. Use different payment gateways for different subscription packages. It truly is an easy and seamless way to accept payments for your membership site! You can benefit from Amazon S3. Even if your files in Amazon’s server. We will protect them. Audio, Video or any other files will be secure with us. You don’t need to pay extra for Amazon S3 protection. Control what your members see when they log-in with the Log-in Redirection. Certain levels of membership may warrant different welcoming pages. Using the Log-in Redirection, you can send different membership levels to different pages. This is a perfect way to provide your members updates, news, and welcome messages. With import feature you can import your previous members to your site. The import module supports both .xls and .csv files. You can not only add new users, but also update the existing users’ data. With Export feature, you can export all your users and their membership and profile data with it. Control exactly how much content and information you want members and visitors to see with [ private ] [ /private ] tags. These tags allow you to hide information within content and articles and made viewable based on permissions assigned to the different membership levels. This feature is particularly useful in providing “teaser” articles that give just enough information that will make non-members want to become members. 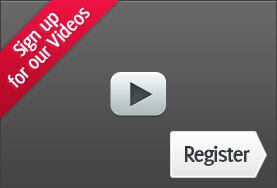 Do you have a video site and you want to charge your members per video they view? Then pay per view feature is for you. You can set the access limit to 1 (if you want, you can change this number), so the user who paid can access the page only 1 time. After that the access will be disabled. Automatic built-in subscription expiration reminder system. This way your members will receive an e-mail (customisable) before their subscription expire, so they can extend their membership. Seamless integration with AWeber, GetResponse, Constant Contact, iContact, AutoResponse Plus and MailChimp. Magic Members allows you to see all of your members, their status, level and other information in one easy to read location. You can easily upgrade, deactivate or delete a member – which allows you complete control over your membership site. Member123 Software supports Mo files, so you can translate into your language. With our extensive report menu, you can check your sales for subscription and post purchases. You can also check your earnings which includes your previous ongoing subscription purchases. We also have projection report to estimate how much money you will have on the upcoming months. All these reports also can be exported as PDF. 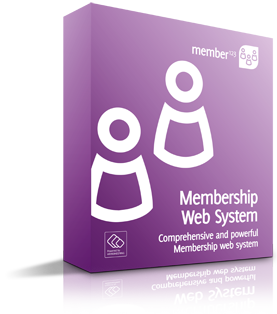 Member123 is a comprehensive and powerful Membership web system.